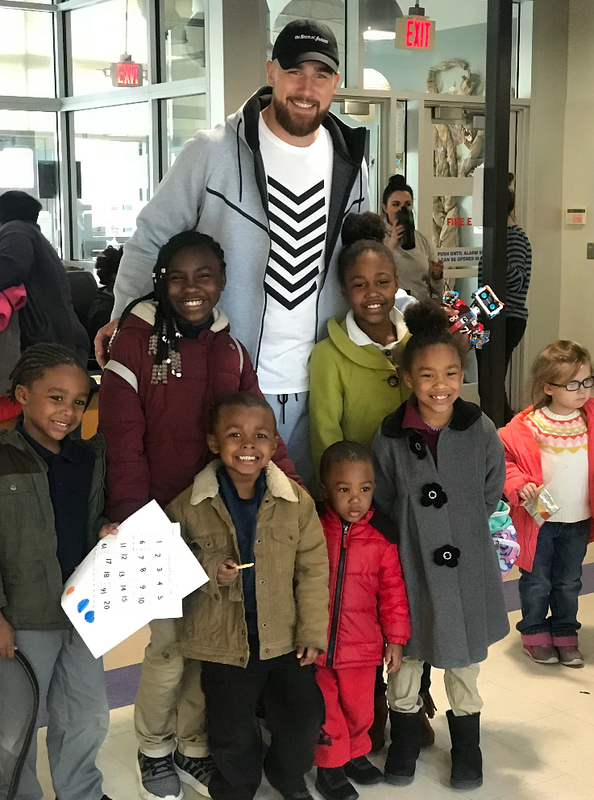 WASHINGTON, D.C. – Travis Kelce has been named Week 2 NFLPA Community MVP after opening the 87 & Running Robotics Lab, providing a safe space and educational opportunities for underserved kids in the Kansas City area. The innovative and groundbreaking lab opened its doors on Sept. 18 as part of a large-scale expansion at Operation Breakthrough, a local non-profit that serves more than 300 students by paving a pathway for them to succeed. Kelce personally donated $45,000 to the project – half from his own pocket and half from his 87 & Running Foundation. Along with the Operation Breakthrough students, the new robotics lab will also be accessible to 175 first-, second- and fifth-graders from three local elementary schools as well as 100 freshmen at a local high school. These groups will engage with online software, robotics, technology and circuits, all of which will boost their exposure to STEM-based learning while providing hands-on experience with engineering resources. Two days after the lab opened, Kelce hosted his annual Walk the Walk Fashion Show with the proceeds benefitting organizations that support underprivileged kids and families, such as Operation Breakthrough and Children’s Mercy Hospital. Both partners align with the mission of Kelce’s 87 & Running Foundation to help underserved youth become productive citizens through mentoring, motivation and exposure to positive experiences. In honor of Kelce being named this week’s Community MVP, the NFLPA will make a $10,000 contribution to his foundation or charity of choice along with an in-kind donation to him on behalf of our supporting partner Delta Private Jets. A limited-edition bobblehead will also be made of Gordon and sold by our supporting partner Forever Collectibles at www.sportsfanisland.com and www.foco.com. The NFLPA will donate part of the proceeds from this collector’s item to the player’s charity or foundation of choice. Kelce, along with the other 2018 Community MVPs, will become eligible for this year’s Alan Page Community Award, which is the highest honor that the NFLPA can bestow upon a player. The NFLPA Community MVP program recognizes NFL players who are making a positive impact in their local communities. Each week during the regular season, the NFLPA will celebrate one NFL player who has demonstrated a commitment to giving back to his community. Please visit our website to read more about the program as well as the current and past winners.